Ernie Wilmink presented white papers concerning ozone as a pathogen intervention at the IOA’s (International Ozone Association) 17th World Congress in Strasbourg, France in 2005 and at the international conference in Valencia, Spain in 2007 and at the international conference in Brussels, Belgium in 2008. But most important, AgriOzein is going green in the agriculture industry. What does it mean when you hear someone in agriculture such as a grape grower, a vegetable grower or an orchard owner say “we are going green”? The overall consensus is that going green simply means that an individual or company is taking steps to ensure that their impact on the planet is reduced by eliminating insecticides/pesticides and fungicides for disease control. Some steps in green technology can reduce this impact in significant ways. 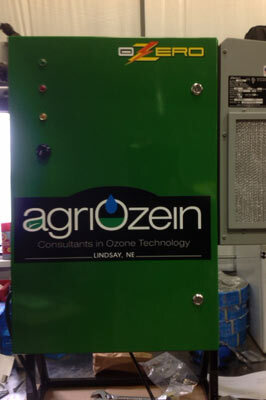 AgriOzein made big efforts to engineer, design, build and install ozone related equipment on sprayers in the vineyards and orchards that will contribute to “greener” growing of grapes, vegetables, apples, pears, apricots, cherries, etc. 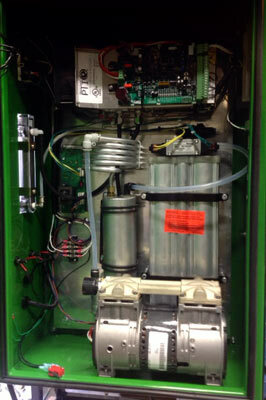 The 2012 season for the wineries using Ozogation over Chemigation was a huge success based on the development and implementation of research performed by Dr. Max McFarland, University of Nebraska at Kearney and Paul Read, Professor of Horticulture and Viticulture at University of Nebraska at the Lincoln.